I was provided with tickets to Disneyland and a Toyota Camry to facilitate this post. All opinions are my own. Group Photos by Annie Vovan Photography. 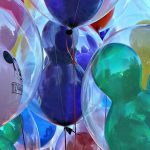 Earlier this year, I talked about why you should head out to Walt Disney World as an adult, and how it is a great place to spend your birthday. 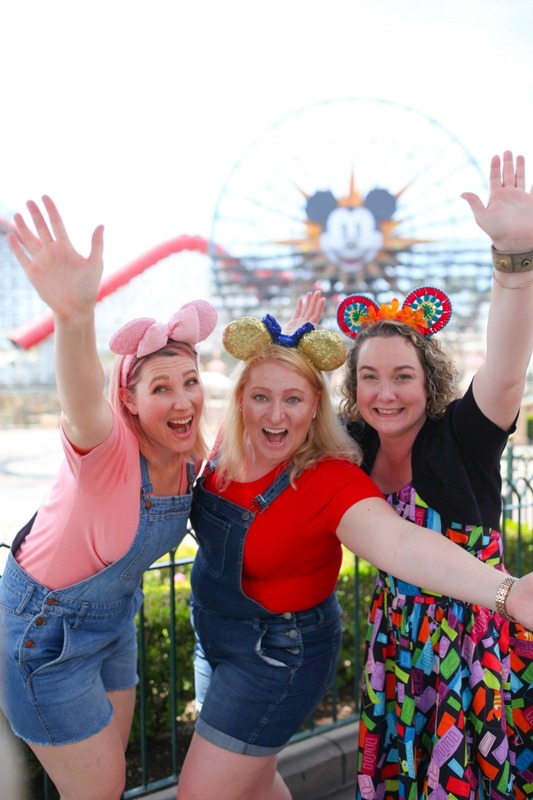 A couple weeks ago, some friends and I attended a conference just outside of LA, and we decided that a trip to Disneyland was necessary once the conference was over. Oh. My. Goodness. This weekend was so much fun. We *tried* to take our time to stop and smell the roses (or at least take a look for hidden Mickeys and fun doorways); however, with the awesome Max Pass system, we still had a few crisscross trips across the park. I had such an amazing time with Whitney from Beauty in the Mess, Cris from Kiss My Tulle, and Carly from Lipgloss and Crayons. We also ran into Mindy from This Fairy Tale Life one afternoon in the park! 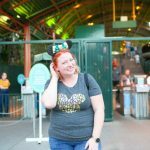 We had two partial days at Disneyland to explore. 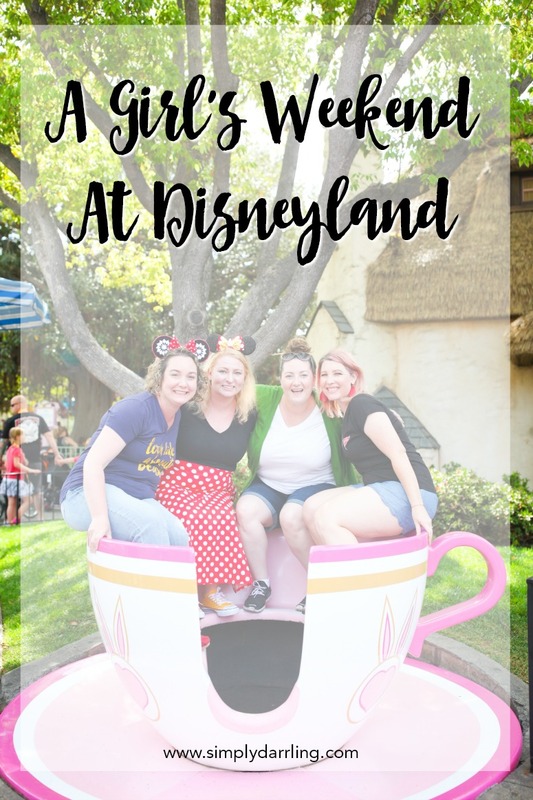 We got to Disneyland about 10:30 Saturday morning since we had to drive from Pasadena (and there might have been a wrong turn that took us into the Disneyland parking structure instead of our hotel which added a good 15 minutes to the drive). Sunday, a couple of us had to leave mid-afternoon to head to the airport to fly home. We still had plenty of time to explore the parks, and make lots of core memories. We heard from a couple other friends about Max Pass and how it allowed them to hit all of the big rides without standing in line. I’m definitely a fan of not wasting time, so for $10/day (per person) we got access to making ride reservations on our phones, and also access to all the photo pass photos. This Max Pass was definitely worth it. We were able to hit all the rides we wanted, and a couple of them we were even able to repeat. Since we were having a fun girl’s weekend, we decided to stay on property Saturday night. 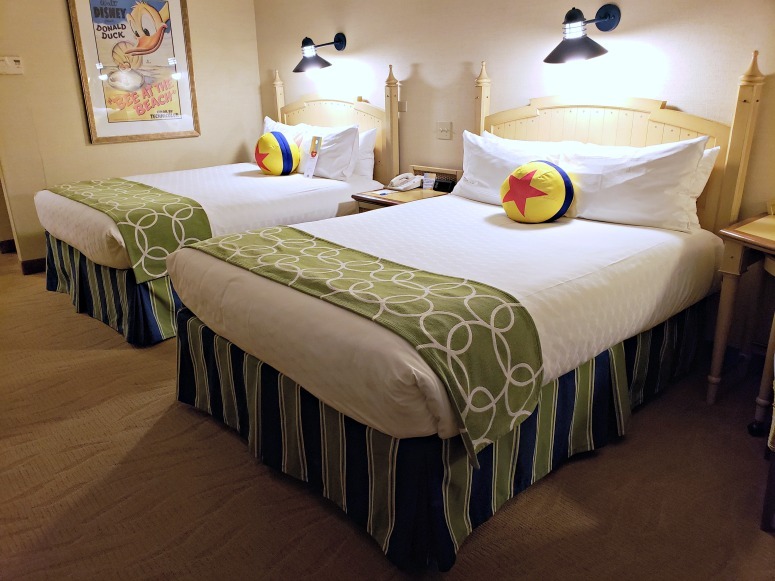 We booked a room at Paradise Pier, and loved the fun Pixar touches in the room for Pixar Fest (which is going on now til September). We didn’t spend a ton of time in the room since we got back from the parks late, and left first thing in the morning; however, our window overlooked California Adventure which is gorgeous at night. Sunday morning we headed into Disneyland right as it opened at 8am. There was no line getting into the park, and we saw a ton of characters available for photos right at the entrance (with very short lines), so if you’re interested in taking photos, or getting autographs, Sunday morning at rope drop are the ideal time. 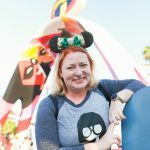 Throughout our days, we used the Disneyland app to make our fast passes, but also figure out food ideas, parade times, and check in on stand-by line wait times for rides without fast passes. There are so many delicious treats available in the parks (especially right now with Pixar Fest), it was hard to pick just one treat. By traveling with a group of friends, we were able to each get a different item and have bites of each other’s snacks. 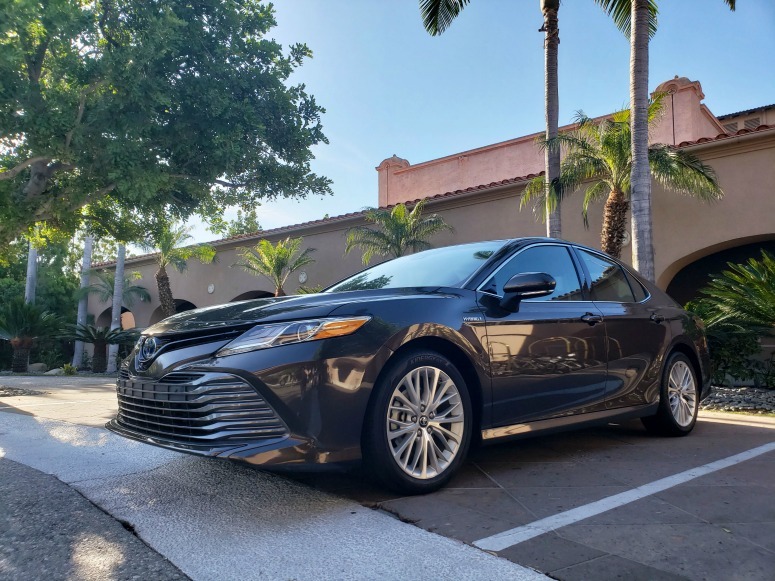 To get around LA during the week, we had a pretty awesome 2018 Toyota Camry. Whitney and I blasted our music as we drove to and from Pasadena, and enjoyed the smooth ride along the freeways and side streets. 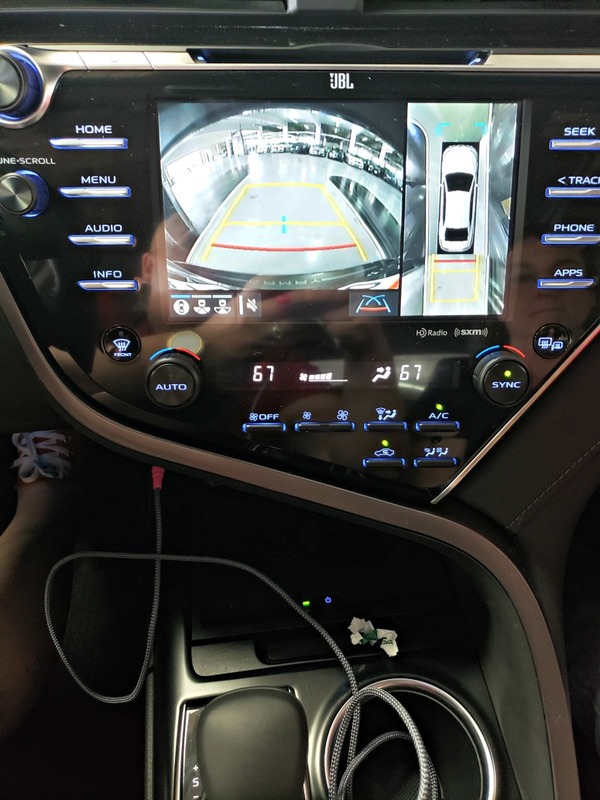 The rear camera on the Camry is so cool. I love how the 360* camera allows the driver to really tell what is around them. This is perfect for backing into or out of parking spots. When you send a couple bloggers on a trip, we travel with a lot of luggage. Between the two of us, we had 3 suitcases and 2 backpacks (and one of the suitcases was oversized). 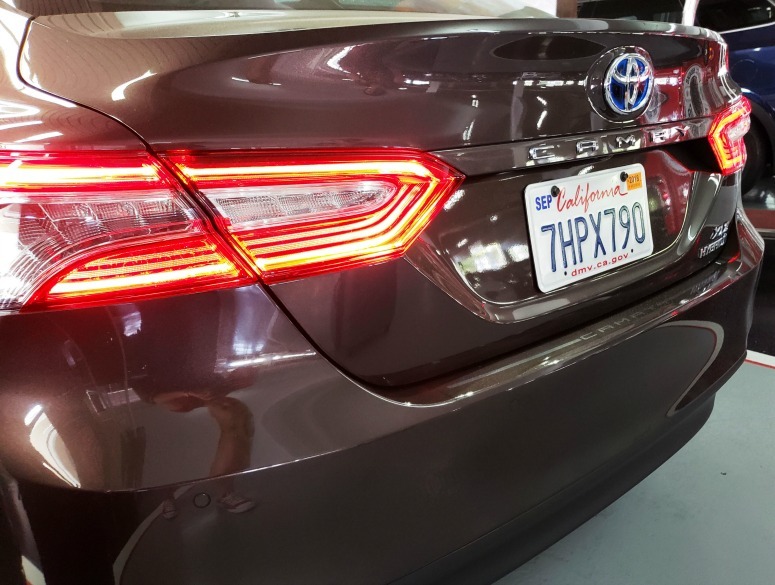 The Toyota Camry was able to fit all of the suitcases in the trunk, which was great since we had a couple stops to make on our way out to Pasadena and we wanted them hidden in the trunk. 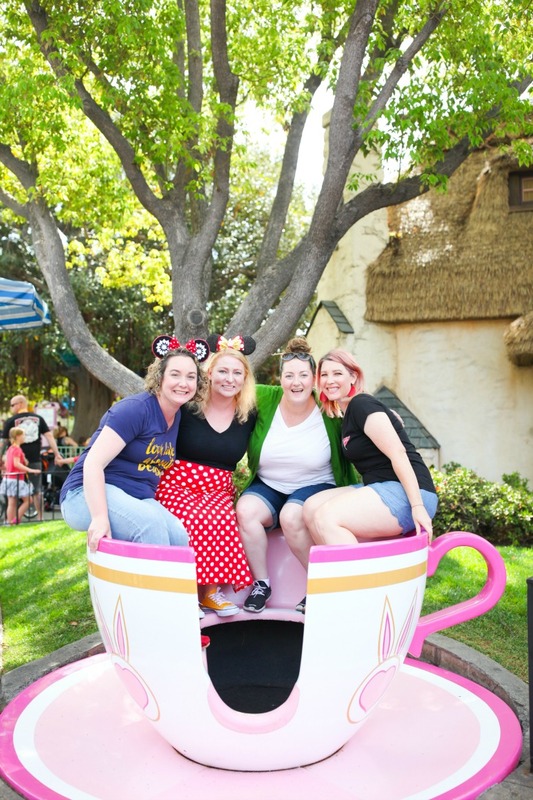 Our girl’s weekend at Disneyland was absolutely amazing. I definitely recommend planning your own trip with your favorite girls sometime in the future for lots of laughs and core memories. We had fun, didn’t we? 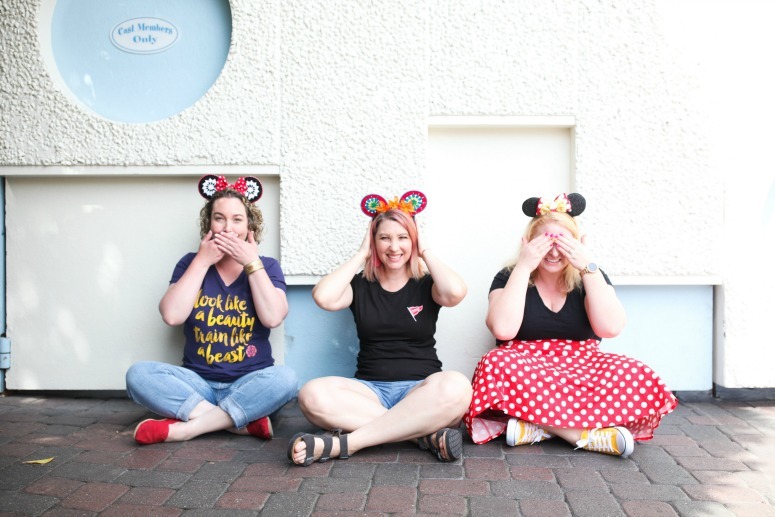 I love doing Disney with you (so do my kids!). This would be the best time! I’d love to go to Disney with ONLY adults for an adult adventure. I always have the kids with me. Fun for sure but it would just be a totally different experience that I’ve never had! Super jealous. This looks like so much fun. 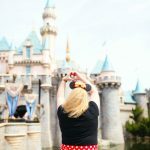 I just had my first Disneyland trip last month and totally agree with you about MAXpass – I bought it for the photos, but it was SO convenient being able to set up fastpasses that way, too. OMG! I’m so jealous! This looks like it was such a fun trip! This has to be the best girls weekend ever! :) Plus, how jealous am I that you got to hang out with all of these lovely ladies for an entire weekend?? I’m so jealous! I’m so happy you all had a blast! That sounds like a really fun weekend! We’ve visited WDW a few times but have yet to make it to Disneyland.